InterContinental Hotels Group has signed Hotel Indigo London – Aldgate. The newly built hotel will operate under a franchise agreement with Meadow Partners and Roquebrook. 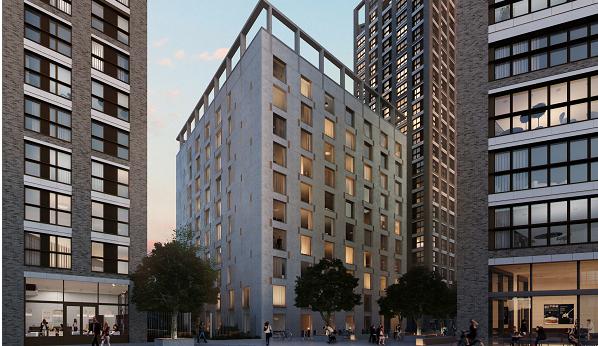 The 207-room hotel opening in 2017 will be located in Aldgate place, east of the City Of London. Set in the heart of a major residential and commercial development project taking shape along Leman Street and Aldgate East, the hotel will be close to key business districts including Canary Wharf, the City of London and Liverpool Street. Some of London’s most popular tourist attractions including Brick Lane, Spitalfields Market, the Tower of London and Southbank will be located on the hotel’s door step. The hotel is situated nearby several underground tube stations including Aldgate East, Aldgate and Tower Hill, and also has great connections to City Airport. Anna Corkill, development director, UK & Ireland, IHG said: “Together with Meadow Partners and Roquebrook we’re proud to be bringing the first Hotel Indigo hotel to East London. Just as no two neighbourhoods are alike, no two Hotel Indigo properties are alike. Hotel Indigo hotels create a truly memorable experience by artfully combining the modern design and intimate service associated with a boutique hotel, with the conveniences and consistencies you can expect from staying at one of the world’s largest hotel groups.